Using Formative for HS ELA and Back to School Tips for All Educators! 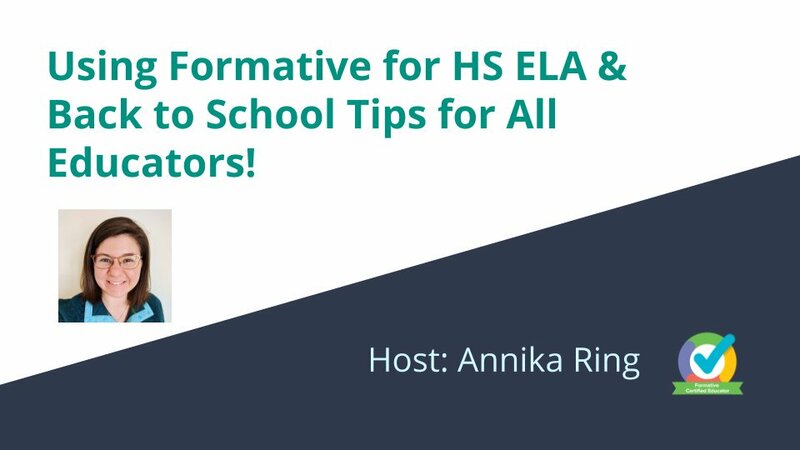 Today, @david and I joined to share a webinar about how I use GoFormative within the HS ELA setting and also give some great tips as we head back to school (or get back into the swing of things if you’ve already started)! Topics such as the “hide names” feature for discussion, “upload a PDF/DOC” for textual analysis/comprehension, and my for the community center are covered. Click on the video below to join us! "How can GoFormative expand possibilities in analyzing texts?". Consider these questions (no matter your content) and add your response/ideas below! Thanks! Have a great rest of your week! Share Where You Are From! "How can GoFormative expand possibilities in analyzing texts?" . I love the fact that Formative offer a safe, effective, and effective environment in which students can share thoughts and ideas. Being able to hide names is a huge feature in promoting students to share their responses in a timely fashion. They can also contribute in a variety of ways such as text, images, drawings, and voice to express their learning. Thus helping students share in ways that they are comfortable and confident with. I think the variety of response and ways to provide feedback also expand the possibilities in analyzing text. The ability to upload word or pdf documents allows teachers to chunk text and help students focus on certain parts. One can also embed other tools such as flip grid to hear student voice on text and other topics. GoFormative is a great tool for student/teacher voice and choice. going back to the question and picking it apart - what did it specifically say and what context clues were there? Perseverence - what makes us shut down or continue through with an assessment? What are strategies we can build to gain perseverence? Loved your video and conversation. @annika.ring Love “up your game” - this is also why I like the community conversations. Thank you for sharing your story. I am trying to figure out how I want to use Formative on a regular basis. I wish I had more time before school started. I really like the hide name because I want to help students develop skills to talk respectfully and add value to conversations. 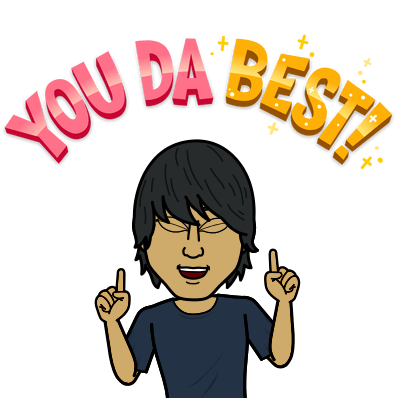 Thank you so much for having an interactive, highly effective, 21st century PLN platform maintained and encouraging professional growth and conversations with video, Zoom conferencing, badges, rewards, topics - I can’t say enough. I love these strategies for using Formative for classroom discussion. The last one got me thinking that part of what makes Formative great for this is because you can leverage those live responses immediately to quickly turnaround and have a discussion while what they have done and experienced (Ex: if they persevere or shutdown) is still fresh in their minds. Great to hear it! Thank YOU and everyone in our community for taking a chance and using this space to learn and collaborate!